Over the winter, new rule changes were introduced to reduce costs and equalise the teams' pace. The engine specifications were already frozen and no teams were allowed to alter internal parts of the engine without special permission. 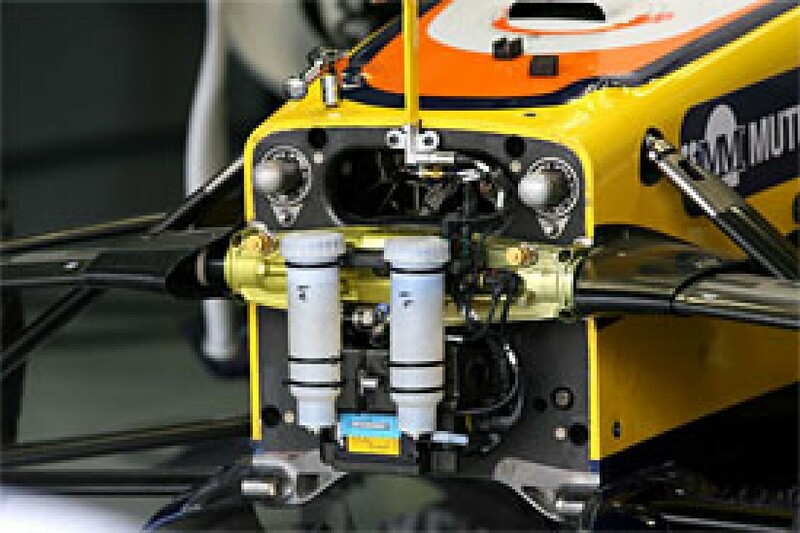 The FIA introduced a single engine electronic control system. This ECU also controlled the gearbox and prevented the cars using traction control (TC) and other electronic driver aids. As well as the new electronics, the gearboxes themselves now had to last four races without being changed. 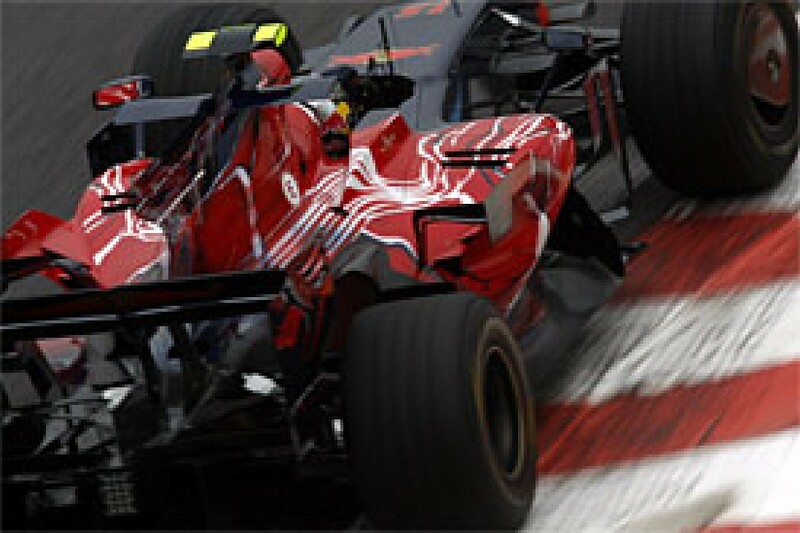 Bridgestone had started to supply the same tyres to all teams in 2007. This did not change for 2008 and the stability allowed teams to optimise their new cars to suit the tyres. Unusually, there were no aerodynamic rule changes for 2008. This allowed the teams to work on the details of the wings and fins around the car. This meant the smaller teams were able to catch up to the bigger teams, as aerodynamic performance advantages became harder to find. Additionally, technology previously used by just a few teams became common for all, as systems such as seamless shift gearboxes and J-dampers became commonplace. Never has Formula 1 been so close in technical specification. Ferrari had lessons to learn from 2007, despite winning the championship. Even with the fastest car, the F2007 had weaknesses and McLaren exposed these and almost ran away with the titles. Last year's Ferrari lacked grip in slippery or slow corners, thanks to an issue with the rear-end. In designing the F2008 to relieve this issue, the team exposed a flaw in another area. While the new car had no apparent traction problems, despite traction control being banned, the car lost some grip from the front end. This gave the car an inherent understeer. It remains unclear if this was a purely a mechanical issue, as the car suffered understeer in faster more aero-dominated corner too, but it created several issues. Firstly the understeer didn't suit Kimi Raikkonen's style and throughout the year he struggled to get the car to turn in the way he would like. But for both drivers the understeer led to problems with tyre-warming. The F2008 was never hard on its tyres and was able to run the softer option tyre in most races with ease. While this brought some benefits, as soon as the drivers needed to introduce significant load into the front axle to raise tyre temperatures, such as in qualifying and colder or wet conditions, the chassis couldn't deliver, this in turn led to brake-warming problems. So while Raikkonen struggled with this most of the time, Felipe Massa also found himself working with front tyres that were out of their optimum operating range. The understeer also prompted what externally appeared to be excessive oversteer. At wetter/cooler races, the car would understeer terribly in slow turns, then the tyres would finally grip just as the car was ready to exit the turn. This sudden adhesion would transfer load away from the rear axle to the front, resulting in snap oversteer, spinning the car around. Silverstone was probably the greatest example of this. Many perceived the problem to be drivers getting on the power too soon, it was in fact the lack of front end grip unloading the rear tyres. In contrast to McLaren the Ferrari development programme was muted this year. The car received several updates in the first half of the season which then subsided into more subtle updates around the bargeboards and pod wings. These included the infamous 'nose hole', which was a slotted nose cone aimed to improve the efficiency of the front wing, as well as a version of the shark fin engine cover. But largely the F2008 remained a very familiar package. With this came reliability, not the 100% record of past years, but aside from the early season gearbox failures, the subsequent retirements were an engine failure for both Raikkonen and Massa and the Finn's broken exhaust pipe in France. All Ferrari's other retirements came from team or driver induced issues. These team and mechanical failures, along with the front end problems, cost Ferrari far too many points. As the sport heads into a period of major rule changes, something that Ferrari tend not to cope too well with, this year's squandered opportunity may come back to haunt them in 2009. Having come so close last year, McLaren produced a world championship-winning car in 2008. Perhaps over the course of the season, the MP4-23 was not as fast as the Ferrari, but the margin was small. 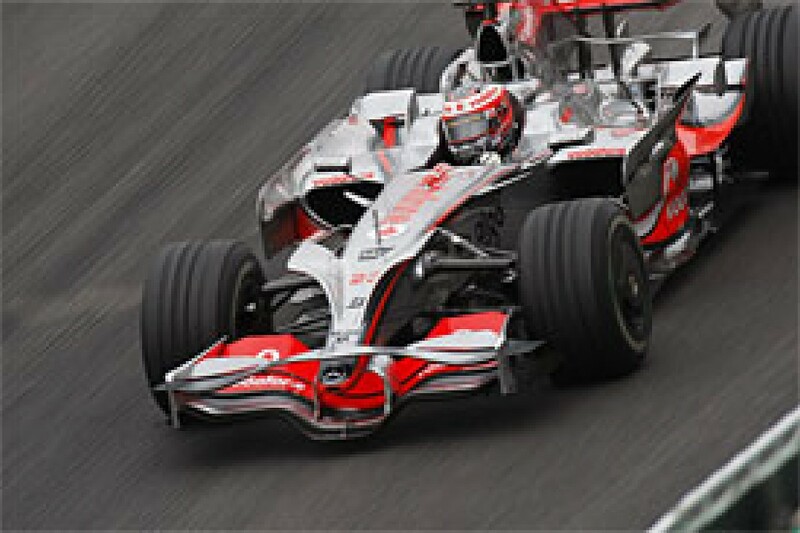 Key factors in McLaren's victory however were superior reliability and better tactics. The difference between the two top teams was often simply down to who got their tyres to work best for the track and conditions. In McLaren's case this tended to be at less punishing tracks and in lower temperatures. Last year, the McLaren had superior traction to the Italian team but struggled on outright aerodynamic efficiency. Work over the winter produced a far more aerodynamically complex car, which brought the efficiency up to Ferrari's mark. The only weak spot was the car's tendency to over use its tyres; fronts in the case of Lewis Hamilton and rears for Heikki Kovalainen. The car went further than last year's car in its tendency to oversteer, partly to favour Hamilton's natural driving style, but this was also a reflection of the greater forward bias for weight and downforce - a strategy McLaren has taken to the extreme on the specification Bridgestones. This weak spot punished Hamilton in hotter races or where fast, long corners were abound. But the flip side of this drawback was that the car maintained more heat in its tyres in colder or, more crucially, wet races. Through the course of the year, McLaren's development effort was considerable and highly visible. Unusually for the Woking team, the car appeared with major aero updates race after race. By the season's end, McLaren had taken an already complex car and added every conceivable aero device. What's more, they were able to do so with predictable results. McLaren were quick to adopt antler fins on the nose cone, the shark fin engine cover, wheel fairings and ever larger pod wings. While these typified their aggressive approach, it is the front wing that belies McLaren's technical direction for the year. In 2007, they exploited the maximum plan area for the front wing by racing a huge three-element version, allied to a bridge wing. Through several iterations, their 2008 wing ended up with four elements plus an extra slot, effectively making a five element front wing. The bridge wing gained slots and the nose gained the antler wings. This massive cascade of aerofoils placed even more downforce on the front tyres, this load also needed a matching forward weight bias, probably achieved with ballast hidden within the nose or front wing. Although the front wing created a great degree of downforce, some of this was negated by the flow control devices along the car. The wishbones, antler wings and cockpit fins all tried to direct this flow back down toward the rear wing and diffuser, making them more effective. Another McLaren trick was to run the car with very little cooling outlet area. Whereas Ferrari and the other teams ran huge rungs of louvers along the tops of their sidepods, McLaren were able to run a closed sidepod. This might have been an aerodynamic solution to venting the heat from the radiators, but is more likely to be a Mercedes solution to running the engine hotter. Until Kovalainen's failures late in the year, the Mercedes engine was reliable. Equally, Mercedes have been able to make huge progress on power production, even with the frozen mechanical engine specification. Less handicapped by the SECU, work was able to focus sooner on lubricant and fuel research to exploit more power from the V8. While power figures are subjective, McLaren were often able to enjoy a straight-line speed and acceleration advantage. This could partly be down to the chassis, but it is believed the greater contribution came from the engine in 2008. As already mentioned, last year McLaren had an advantage in traction and low speed grip. This advantage continued, albeit to a lesser degree, and is down to the suspension setup. McLaren run a very soft rear end and a very stiff front end, this explains the car's affinity to lift its inside front tyre into slower bends, often locking the unloaded wheel in the process. Often, the downside to this approach is a lack of control of the car's underbody. This affects the downforce produced by the diffuser. Somehow, McLaren are able to get a good aero performance from a very soft rear end. Early in the year, the car struggled to work with this set up and the lost its traction advantage on faster aero tracks. But once McLaren had found the setup to solve this, they were immediately as fast as Ferrari on quicker tracks. We now know that McLaren ran inerters (J-dampers) on both ends of their suspension and have done so for many years. The inerters are probably part of the reason the car can tackle high kerbs, the inevitable bounce from the tyres is prevented from unsettling the chassis from being soaked up by spinning the mass inside the inerter. 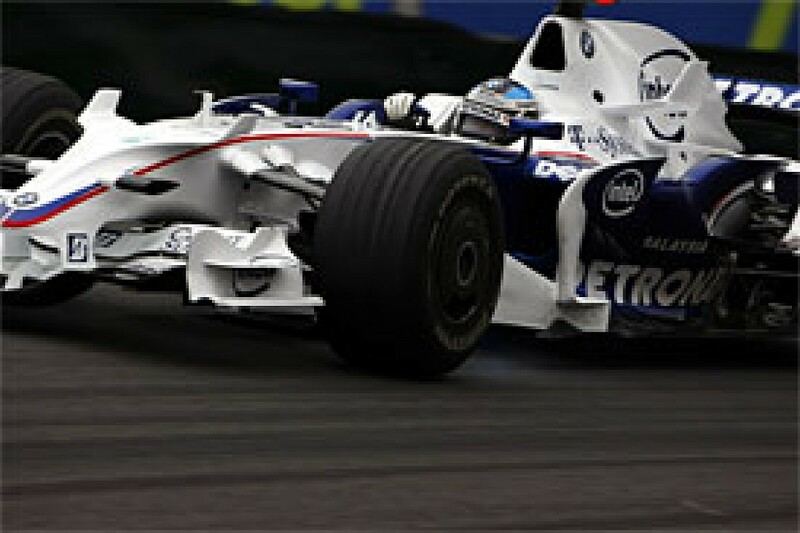 Having stepped up their pace in 2007, BMW Sauber presented a sophisticated new car for 2008. As they were seeking to close the gap to the front two teams, this smaller margin in laptime required lots of small gains to be found. Risk is inherent in this strategy and the car ended up being more on a knife-edge than the forgiving F1.07. At first it looked like the time couldn't be found from the new car, but the final winter's test unlocked its potential. For the first half of the year, the car, in Robert Kubica's hands at least, was a near match for the second Ferrari or McLaren. Moreover, it appeared to work well at all circuits, but one driver was struggling. Nick Heidfeld has a more classical, smooth driving style and in 2007 this rewarded him over Kubica as he didn't overwork the front tyres. Now the car was optimised for the new tyres, the German found his style was not working the Bridgestones hard enough. Without being able to get the tyres into their working range for qualifying, the race always ended up being heavily-fuelled slog through the field. Work on setup improved the car for Heidfeld by mid-season, which coincided with the team's win at Montreal - admittedly the result of an incident in the pits for the front-runners, but BMW were well placed to capitalise and take a one-two victory. This turned the team's season around but, curiously, for the worse. With their target achieved, the team slowed development and focused on 2009. Thus, just as the two cars became competitive, they started to slide back down in pace and were struggling against the resurgent Toyota, Renault and Toro Rosso by the season's end. As the car was such an evolution from its forebear, and added to that the lack of development, the F1.08 soon appeared unremarkable among its peers. Pre-season, BMW Sauber added the antler wings on the nose and a vane joining the bargeboards to the pod wing on the sidepod. Thereafter, changes were minor, small fins of winglet added for some races, but the eyes of the team were already looking at the very different demands of 2009. With or without the return of Fernando Alonso, the Renault team has enjoyed remarkable continuity in their key personnel for several years. For many reasons, 2007 was a poor year for the team; the switch to Bridgestone tyres, the engine freeze and the loss of its key driver. But this year offered the team a chance to regroup and optimise its package to suit the new regulations. In some respects the R28 was a major progression from its forebears, the move to a more forward weight distribution led to design changes around the keels and the front wing area. Elsewhere the car was conservative and retained key features of previous iterations. Initial testing was not promising, and the opening races proved to be a stop-gap until a major update was introduced for Barcelona. This included a significant step in aerodynamics, as well the introduction of an inerter to the rear suspension. The aero update mirrored Red Bull's shark fins and BMW Saubers pod wings that were joined to the bargeboards. Considering Renault's dominant position in previous years, their adoption of inerters was late in comparison to their peers. Despite pioneering the 'tuned mass damper', Renault were already a step behind McLaren with their smaller lighter inerter (J damper). It's possible that the MacKereth spy case slowed their introduction. But when they were put on the R28, along with the aero update, they brought a significant laptime improvement according to the team's director of engineering Pat Symonds. However, Renault's pace in Spain came to nought in Spain when Alonso suffered an engine failure. This was a reliability blip however, for that was normally a particularly strong suit for the Spaniard in 2008. It soon became apparent that Renault were struggling with a power deficit to their rivals this year. The same engine in the Red Bull Racing car backed up the fact that the lack of straightline speed was not a chassis issue. When the engine rules were redrawn in 2006 and the specification of the engine was frozen, Renault took the rules at face value and eased up on development. Other teams meanwhile pushed as much into the spec of the V8 before the homologation process was complete. Additionally Renault do not appear to have focused as much detail development on the unfrozen aspects of the engine. A year and a half after the freeze, Renault have found themselves some 30bhp down on their rivals. The rules do permit some development to the engine, both externally and internally, so long as its related to a reliability issue. Around mid-season Renault and Elf made a step with the engine, which made it much more competitive. It was this step along with the on-going aero development that allowed Renault to usurp BMW and Toyota on pace later in the year. Late-season changes to the front wing gained a more forward weight bias through ballast placed inside the endplates. This gave more confidence to the drivers, as the wing was less sensitive to the wheels being steered. From Hungary onwards the R28 was the class of the midfield, and as Ferrari and McLaren got tangled up in the championship battle, Alonso was able to pick up two wins and two podiums to end the season on a high. Toyota have struggled in recent years and their cars have appeared outdated, even at the time of their launch. This year, the TF108 looked decidedly modern, adopting a more conventional nose and bargeboard set up, allied to their aggressive suspension package. It appeared that Toyota were going to get out of the starting blocks quickly. 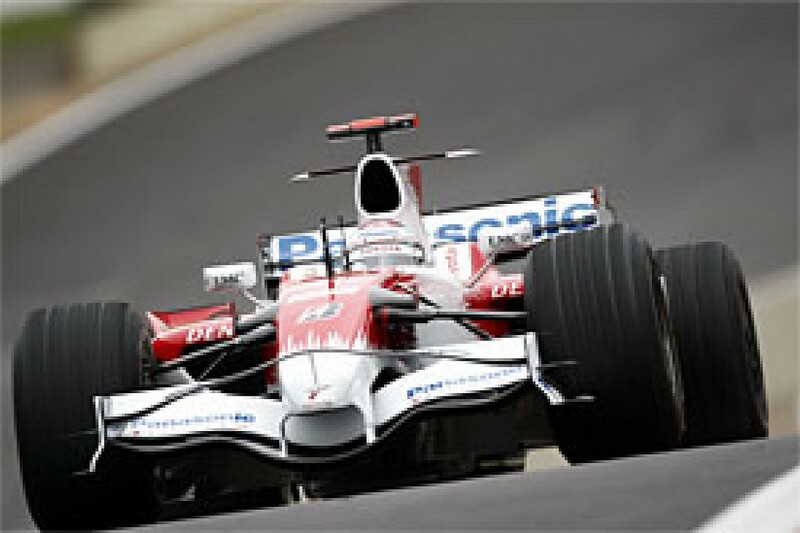 The car wasn't slow, and proved a top ten qualifier for Jarno Trulli, and Timo Glock too once he'd learned his way through his first season. It had good race pace also too, but this was heavily track dependant. The TF108 runs well on slower tracks that reward balance, high downforce and a drivable engine. The winter redesign had created a more balanced car that suited Trulli's classical driving style. 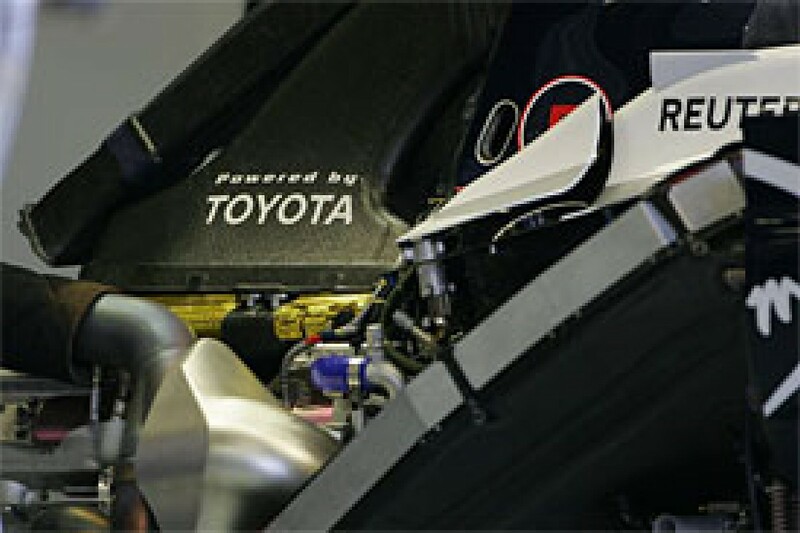 It is believed that Toyota employ inerters and their use may predate this season. Aerodynamic development of the car was noticeable as several front wing and endplate iterations were tried. The team stuck with a fluid shaped wing, rather than the square jawed approach of their rivals. At the rear, the Toyota wing for high downforce tracks featured a small slot and additional winglet. This complex setup made the middle span of the wing work even harder, similar to the approach taken by some team's to their front wings. In the closing races, the team's development had enabled them to close up on BMW Sauber and they were close to Renault and Toro Rosso too. Sixteen points finishes and two podiums is a fair result in a very competitive year. Being in the perceptively less than envious position of being a customer team, with Red Bull Technology (RBT) supplying the design for their 2008 car to both them and the primary Red Bull Racing (RBR) team, Scuderia Toro Rosso made more of their package than anyone could have imagined. As the team had a different engine to RBR and had to manufacture the new STR03 chassis themselves, Toro Rosso began the season with an updated-2007 car. This familiarity with the car should have brought them an advantage, but poor reliability and race incidents negated any benefits. The new car made its debut at the less-than-ideal venue of Monaco, but fifth place in the wet race was reward for the team's conviction in it and set the tone for their season. In Sebastian Vettel's hands at least, the new car then began a string of top ten qualifying places and points finishes. With the stability in the rules, which included the single-tyre supply and ECU, the STR03 was closer to its sister RB4 than in previous years. Only the Ferrari engine divided the two cars DNA, and at first this gave the team an advantage over Red Bull Racing, with their less powerful Renault engine. While RBR also suffered traction and grip issues that did not appear to have blighted the Toro Rosso car. Perhaps the greater power output allowed the team to run more wing and thus worked the tyres harder. Toro Rosso did not adopt new aero parts as quickly as the RBR team. This was partly due to manufacturing resources and also due to a policy of keeping the car simple. This was instigated by STR technical director Giorgio Ascanelli, the experienced Italian realising the team did not have the same development resources and two less experienced drivers. This simpler approach to weekends meant the team often lacked all out pace, but were rewarded with consistency, partly by giving the drivers greater confidence in the car. Some details not adopted by the team in comparison to RBR were the inboard rear view mirrors the late season front wing and rear winglets. This more considered approach paid dividends as the team soon eclipsed their sister squad and were challenging Renault, BMW and Toyota, culminating in the win for the team in the Monza GP, a fitting location bearing in mind the team's Minardi roots and Italian persona. Last year was best forgotten by the Red Bull Racing team. 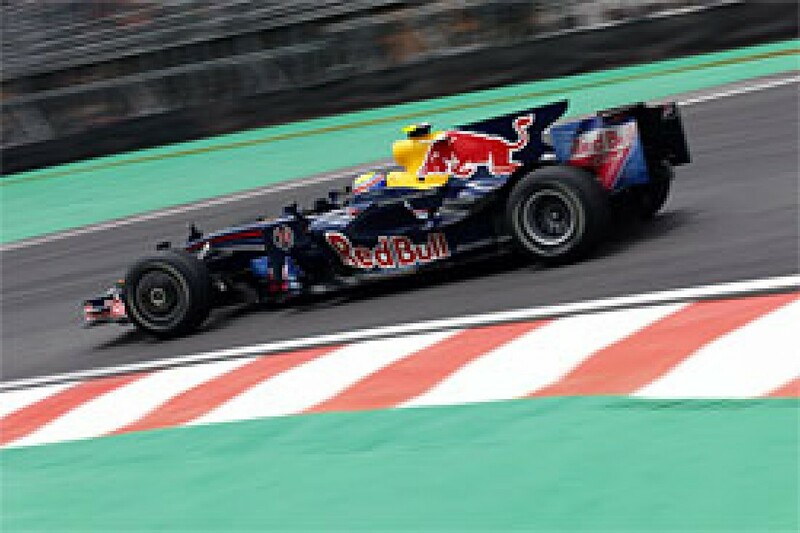 Their parent company Red Bull Technology (RBT) had designed a car that was unreliable and had handling problems, but their second car created by Adrian Newey was far more successful. Still bearing similarities to McLaren designs, the RB4 was a conventional F1 car by 2008 standards. Throughout the season, it was a couple of tenths off the pace and this placed it in a fiercely competitive midfield. Aiding the team's fortunes was the car's reliability, with a string of points finishes for the fast-qualifying Mark Webber. David Coulthard collected just two points finishes, gained primarily by his use of wily experience in the season's most chaotic races. As is well known, the RB4 is the twin of the Scuderia Toro Rosso car, and the difference between them is largely that the STR03 had a Ferrari engine and the RB4 a Renault unit. In practice, the Red Bull Racing team had more resources and acted on new developments from RBT immediately. But this key difference in the power plants was the Achilles heel of the RB4. The Renault engine was not developed as aggressively both pre and post-engine freeze as its competitors, and two years later, the engine has stood still while others seek every possible advantage. For most of the year, the Renault engine was reputedly 30bhp down on the best engines, a deficit likely to cost 0.5s per lap. When considering the RB4's performance this year, this shortfall needs to be accounted for. The biggest innovation of the year came from Red Bull. Their huge shark fin engine cover surprised everyone when if first tested and, while a few thought it would race, no one expected it would be copied by nearly every team on the grid. Whereas previously, teams had small fins along the back of the engine cover, Red Bull tried this far larger device in pre-season testing. The problem with finned engine covers has always been that they make it harder for the car to turn as they act like a ship's rudder. That also masks the flow to the rear wing when the car is turning. Red Bull moved the fin up very high with a cut-out beneath it. This cut-out reduced the rudder effect and allowed airflow to reach the rear wing when the car was turned. As a reward, the fin kept the car stable in corners and maintained a consistent flow to the rear wing. Red Bull also had their own take on the pod wing design. They developed a squarer format fin, with a vertical slot through it. The fin forward of the slot reached down to meet the bargeboards, while the rear part joined the sidepods but stopped short of connecting the chimney. Bear in mind that Red Bull are a relatively young team, despite their lineage back through the Jaguar and Stewart days. The team were a late adopter of Inerters, not until Turkey did they run the devices at a race - although the car may have been designed with them in mind. The front Inerter was slung below the front suspension rocker and could be viewed through the front bulkhead. The rear inerter was mounted in a similar fashion, this required it to pass through an opening in the gear case and was largely hidden from view. Just the arm of the rocker reached down and belied its position. With a number of front and rear wing developments, Red Bull kept pace throughout the year and their competitiveness appeared balanced across all tracks. It's just that their engine was not as powerful and their immediate competitors made greater strides towards the end of the season relegating the RB4 to seventh in the constructors' championship. There was a great deal of optimism at Williams pre-season. Testing had gone well and the update to the 2007 car was logical and, for the first time in a while the team had continued with the same engine package (Toyota) for a second consecutive year. The first race bagged a double-points finish and the opening races of the season followed with more points for both cars. Impressive considering the inexperience of Kazuki Nakajima. Development in the first half of the season focussed on ever more aggressive front wings. The initial two element front wing gained a slot in the middle of the flap, then became a square stepped three-element wing. Even the bridge wing became more aggressive with a split between the angled outer portions and the flatter middle section. These gains paid off by loading the front tyres more effectively to give more grip. But the challenging mid-season races at the old European circuits gave the team problems. The car suffered understeer through long corners, and it had enough downforce, it was leaked away as the wheels were steered and the car rolled. This sensitivity required a less aggressive front wing, although by the time Wiliams introduced it, the team had already begun to focus its resources on 2009. Heading into a new year with Ross Brawn now leading the team, there was room for optimism at Honda. Especially considering the lamentable season they endured with the RA107. The new car, with its brighter livery, looked to have taken the right approach in its design. Initial testing gave cause for pessimism, but the update test before flying off to the first race proved to be the step the team were looking for. With more such updates due for the forthcoming races, Honda looked like they might be on the up at last. Despite it being a struggle to break into Q2, Spain provided a points finish for Jenson Button on merit, but the team's remaining points all fell to Rubens Barrichello at the hectic British, Canadian and Monaco GPs. By mid-season, the hope had gone and the team were wrapping up their plans for development the RA108 and focussing on 2009. Qualifying became a fight just to get into Q2, leaving the races to be an afternoon of trailing the midfield to the finish. Fundamentally, the car lacked aerodynamic grip and two of the smoothest drivers in the field couldn't get the tyres into their correct heat range. But at least the team's reliability was solid. Visible development came in three steps. The pre-season update that gave the car a specifically-designed wing set was allied to a new set of bargeboards, with their distinctive serrated edges. Next came the unkindly named 'elephant ear' fitted to the nose cone and the BMW Sauber style 'heck wings' fitted behind the sidepod chimneys. Later development brought the small fins fitted to the front wing endplates and the shark fin engine cover. During the mid-season Honda tried two innovative rear wings, the so called "W" wing, with its uneven trailing edge and the Monza wing with a "V" cut out of the middle of the rear edge. Both solutions were aimed at reducing drag. Despite the apparent rush for Honda to develop major changes to their 2006 engine ahead of the freeze, the power unit appears to be towards the bottom of the current pile. Thus straight-line speed was hampered as the car didn't have the power to pull bigger wings. This is a vicious circle - the car couldn't run a lot of wing because that made it slow on the straights, but it wouldn't load its tyres enough for the bends either. Clearly, Honda need more power and\or more efficient aerodynamics. It would be easy to dispel the team's season as a failure, but there was more to the team's development than their results showed. For the first time they understood the car and the how the aero worked. The new parts that were developed, worked. Each of the three major upgrades made a big difference to the car. This is a sign the team have shed the directionless development that has typified the previous two years. With this in mind, it brings hope that Honda can make something of the opportunity the 2009 rules will bring them. The first year under new ownership, albeit with a lot of stability in the technical team, brought little success for the team. With the demise of the Super Aguri team early-on in the year, and the subsequent rise of the Scuderia Toro Rosso team, Force India were left without a direct rival to compare to. During the year the car exhibited major steps in development, as is characteristic of technical director Mike Gascoyne. But this was merely enabled them to keep up rather than overtake any of the other teams. At its launch, the VJM01 was a unique car, with fairings around the lower front suspension and the small bargeboards. Force India were the last team to retain small bargeboards, after Honda and Toyota finally dropped them for a more conventional approach. With its four race gearbox already proven in the last races of 2007 allied to the same specification Ferrari engine there was enough stability in the car's design to allow major upgrades to be planned with more certainty than before. The team's highlight came at Monaco before the big updates were even ready. The car was able to show its pace due to the lower speeds around the street circuit and by a well-judged tyre switch. However a fourth-placed result was lost when Adrian Sutil was punted off the track in the closing laps. In the early part of the season revised front wing endplates and wing mirrors were raced. Then a major update was introduced at the British GP. This sported a new front wing, sidepods, shark fin and the adoption of inerters. In the latter part of the season the car's aero was updated further with revisions to the wing mirrors, the fitment of wheel fairings allowed by the updated suspension, and revised nose fins. But the major update in the second half of the season was the seamless-shift gearbox. Until its introduction, the VJM01 was the sole car with a conventional-shift mechanism. Now the gearbox was operated by two selector mechanisms, allowing one gear to engage as the other was disengaging. This gave possibly a 0.2s advantage, but the rate of development was matched by the rest of the midfield and Force India were resigned to the last row for all but the Italian Grand Prix in the second half of the season. With the shunt losing a certain points finish in Monaco, the team never again got the chance to score points. After such a compelling and competitive season, it's easy to forget that Super Aguri also competed in the opening races. Even before the season began the team were struggling, and unveiled their SA08 in the paddock at Melbourne. Despite the financial constraints, the car was a good attempt to build a competitive solution out of the awful Honda RA107. Honda R&D in Tochigi were responsible for the entire rear end, effectively a modified version of the Honda Racing set up. Then the resourceful team at Super Aguri had revised the front wing, sidepods and diffuser area, but had precious little chance to test the changes. The lack of funds also prevented any further development taking place. The car only qualified off the back row on two out of eight occasions and never really featured in the races. After the Spanish Grand Prix they were shut down for good - a sad end to a team that had impressed so much in the previous two years.